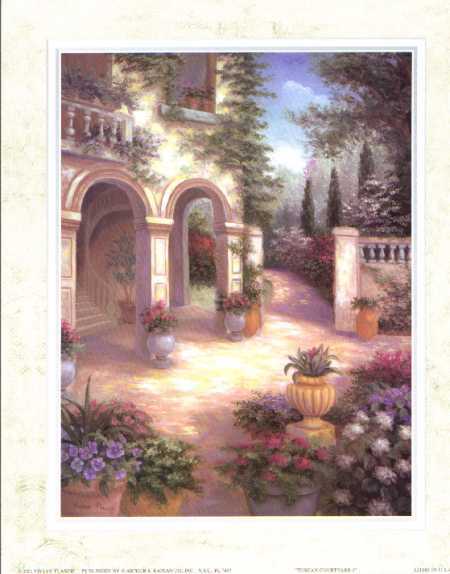 One of a pair, this beautiful Mediterranean courtyard scene shows many potted plants and flowers. The faux matte makes this a lovely lithograph suitable for any room of the home. Since this and its companion "Tuscan Courtyard II" are vertical lithographs , the pair works well in many settings.